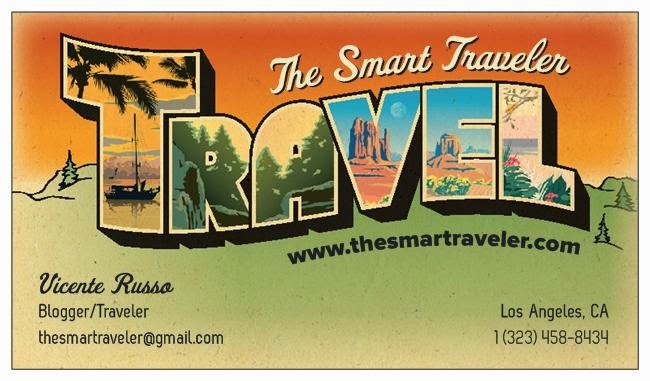 The Smart Traveler: This is Epic! 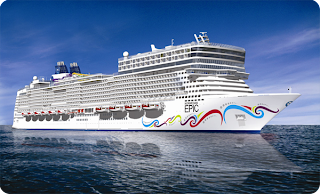 Norwegian Cruise Line’s new Norwegian Epic begins sailing from Florida this summer with a host of accommodations, onboard entertainment and recreation that could set a new industry standard of excellence. I say could because the cruise line has added more features to this new ship than any other in their fleet. If this ship is a big hit or not will depend totally on the actual onboard experience. The stakes are high. 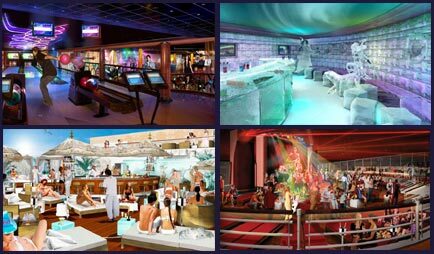 Right on the heels of last year’s new Oasis of the Seas, Royal Caribbean’s mega-popular ship of neighborhoods, Aqua-features and more, NCL’s Epic has a tough act to follow. At 153,000 tons and carrying over 4000 guests, Epic is surely in the big-ship ballpark but it does not look like they are planning on following anyone. That said, I promise not to compare Epic to Oasis ever again…and it appears to be appropriate not to compare as this ship could end up being distinctively different and in a class of it’s own. I’ll get more into the details of the ship with a series of articles closer to launch in late June and before sailings begin from the Port of Miami in July. 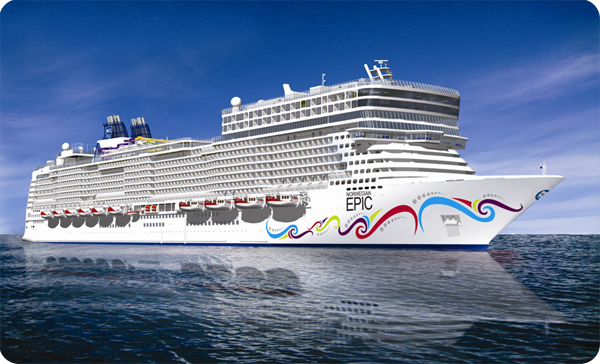 For now, let’s take a look at some of the features that will set this ship apart from all the rest and could make Norwegian Epic big news and a really different cruise experience. Accommodations- Studios, Spa Staterooms, Villas, Owner’s Suites and Family Accommodations sounds familiar and in line with the current berthing trends in the cruise business today. Add in over 1400 ”New Wave” staterooms with curved walls, concealed contour lighting, domed ceilings and a whole new feel to cruising could set this ship apart from all other. Freestyle Dining will feature more than 17 dining options including an upscale steakhouse, special venues for Villa guests, all the signature NCL dining venues and more including “take-out” and room service options for kids. Saving the best for last, Entertainment might very well rank as some of the best at sea. Cirque Dreams and Dinner might just blow away any other dining and entertainment fusion available on any line. This is one of the smartest moves I have yet heard of on what Epic will offer. Cirque= quality as anyone who has seen a Cirque show can attest. Add that to a great meal and they might just have something wickedly amazing there. Add the Blue Man Group in what looks to be a stunning Epic Theater, a dueling piano bar, the world’s leading tribute show Legends in concert and more. Entertainment might very well set the stage for this ship to truly live up to it’s name.